As with any first-generation product, there's good and bad when it comes to Nikon's new mirrorless cameras, lenses, and accessories. Here's a little more information about some of the features of the Z6 and Z7 cameras and the system as a whole so you can decide if it's right for you. [Update]: This is not necessarily Nikon's answer to a completely pro-line mirrorless body (scroll down for update). First, let's start with the obvious. In both cases, the Z6 and Z7 image quality will be superb. Nikon has proven itself time and time again when it comes to performing in this space, and, tweaked or not, these sensors are ones Nikon has experience with. You can count on Nikon to deliver excellent imaging performance thanks to this combined with the new EXPEED 6 processor. Additionally, the reviews from those that have experience with pre-production models, the EVF also seems superb. 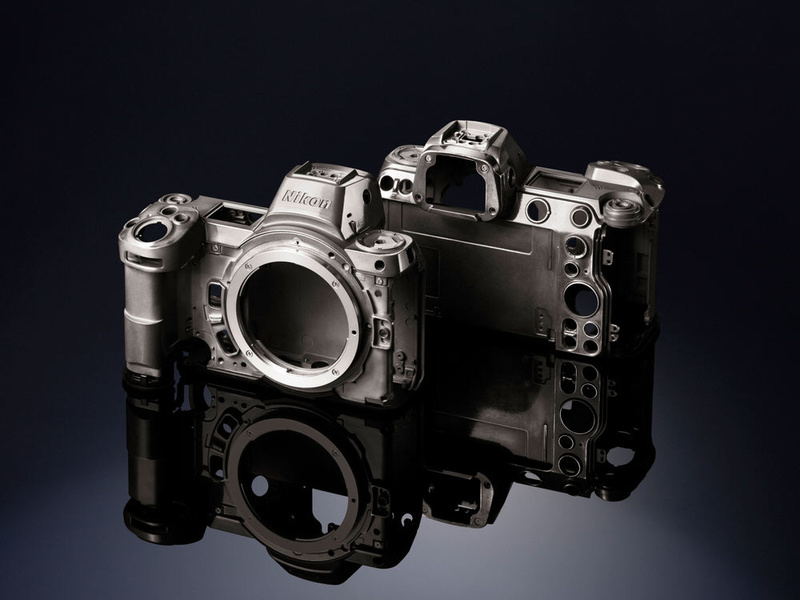 Nikon put its coating technology into the elements of the EVF that, coupled with the OLED screen inside, many reviewers are applauding for its seamlessness. However, we'll still have to compare against the latest Sony and Leica EVFs, which are considered some of the best. Ergonomics look great, but in a first-look review for DPReview, Chris Niccolls mentioned he had a tough time utilizing the function buttons on the front of the body around the grip (where most Nikon DSLRs' programmable depth-of-field preview buttons are). So some ergonomics could be imperfect. 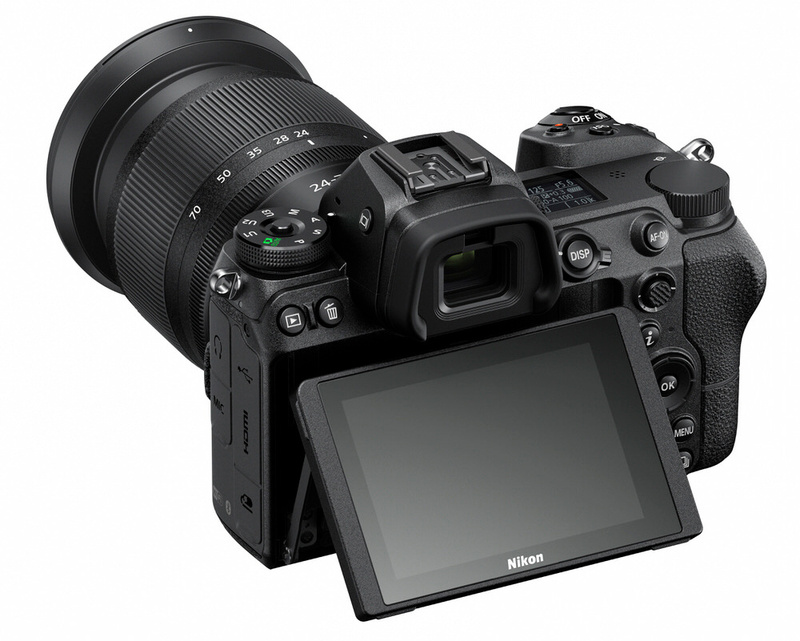 Additionally, Nikon DSLR users will have to get used to using the touchscreen a lot more, as the Z6 and Z7 feature a much more touch-oriented control system, especially with the lack of the entire left column of buttons for easy two-handed operation. This is both a bummer for those that want to benefit from the speed of two-handed operation, but it should be a good utility for those hoping to employ a bit more single-handed operation of the menu functions. Additionally, reviews of Nikon's touchscreen system tout it as superb as well; so at least they did it right. That screen, by the way, is articulating, but it does not rotate out. This makes it much more like the screens of the D750 or D850, but you won't be flipping it out for tourist selfies like you might with some consumer DSLRs' screens. Nikon implemented its first in-body stabilization in the Z bodies. Going all-out with a five-axis, five-stop stabilization system that also fared well in reviews, Nikon did themselves a favor for the future of Z-system lenses since they won't have to include vibration reduction (VR) in any lenses to gain stabilization benefits. 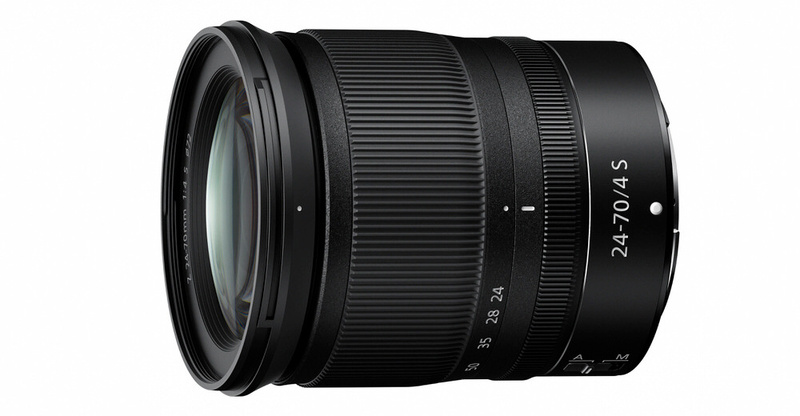 However, when using F-mount lenses via the adapter, that five-axis stabilization drops to three. And it's unclear if the same five-stop level of compensation can be claimed. This is even true for VR lenses, which means it is likely that VR is simply disengaged when using the FTZ adapter. Some other brands enable even improved stabilization when using both in-body lens-based stabilization in concert with one another, so it be seen as a disappointment that Nikon wasn't able to squeeze out even more performance with these lenses, but it also makes sense seeing as there are always drawbacks with adapters. 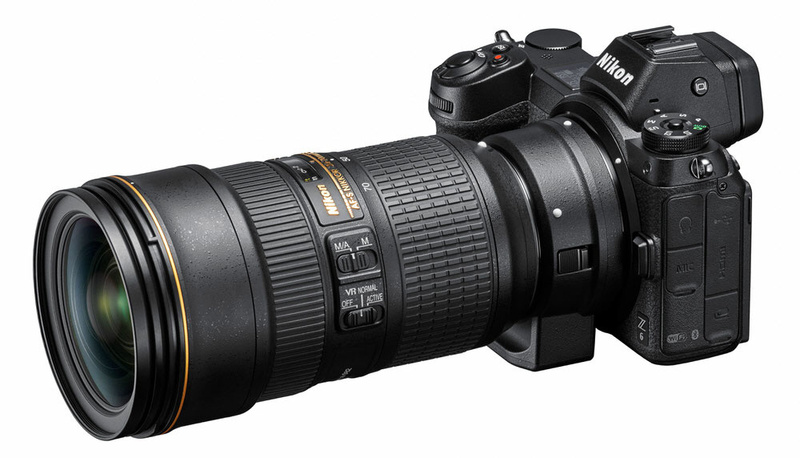 As far as the FTZ adapter goes, however, at least one reviewer claimed that Nikon F-mount lenses behave exactly as they would on their DSLR counterparts when mounted via the adapter, which would add a bit of relief to those with large Nikon lens collections. Additionally, the lack of any play and general durability of the mount connections were also cited. Nikon does not include the adapter with the body as suggested by some rumors, but they do apply a $100 discount if purchased in a bundle with any body; so be sure to take advantage of that if you plan on shooting with more than three lenses before the end of the year. This is a good time to talk about the lens situation. There is both some potentially great news as well as some bad news. But none of it should be a surprise. First, Nikon took the opportunity with the Z-system release to introduce a new level of imaging performance in its lenses. This new level is indicated by the S-Line of lenses, which indicated more rigorous quality control measures, higher image quality, and certain coatings such as Nikon's high-end Nano Crystal Coat. So far, all of the lenses announced for the Z mount are S-Line lenses. So this is likely to be the case going forward indefinitely. Unfortunately, however, there are only three lenses that will come out before the end of the year, and only two of those (the 24-70mm f/4 S and 35mm f/1.8 S) will be out in time for the release of the Z7 (the Z6 will come a bit later in November, at which time the third 50mm f/1.8 S lens will already have been out for a month). 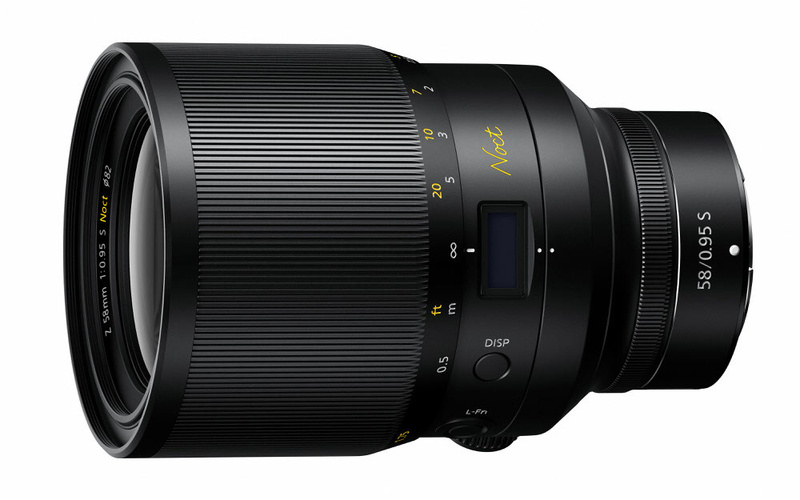 Four more autofocus lenses (including f/2.8 24-70mm and 70-200mm lenses) are planned for sometime in 2019 alongside the manual focus 58mm f/0.95 S NOCT. And Nikon won't have a lens faster than f/1.8 or the full golden trio of zooms until the single 50mm f/1.2 and 14-24mm f/2.8 lenses come out sometime in 2020. If all of those come out earlier in each of those years, that would be reasonably impressive given that it's an entirely new lens lineup. And if they all finish coming out by the end of 2020, that would be a rather disappointing two full years before we have a dozen lenses for the system. Either way, this situation is indicative of the challenges facing Nikon when it comes to creating a full set of lenses for a new system. The same will likely happen with Canon when its mirrorless is announced. And Sony and Fujifilm users went through those pains as well, but they've had time to develop their lineups since they've actually been working on mirrorless for years now. When all is said and done, it's not clear if Nikon pushed hard enough to flood the market with a full setup in time to actually be competitive on a professional level with the Sony mirrorless system. No doubt, this is why you've never seen a lens adapter pushed as hard as in this marketing campaign. But to its credit, if we're to trust the early reviews, Nikon does seem to have done a good job with it. Still, it will be hard to compete in the early months with just a couple fast-ish primes and an f/4 kit zoom as native lens options. As discussed, people seem to be raving about the FTZ adapter's performance with F-mount lenses. And native Z lenses seem to be quick to focus as well. But there are a few things to keep in mind with the Z bodies. 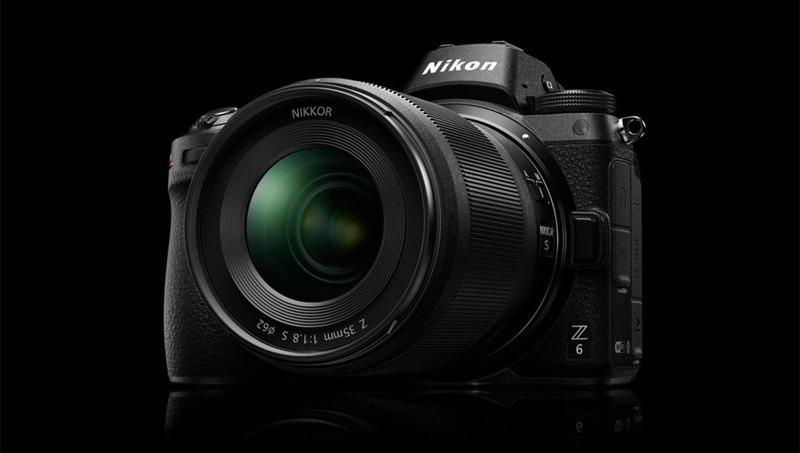 First, Nikon has made it clear that the focusing system in the Z bodies is one of its slightly more differentiating factors compared to that in its professional DSLRs. This is only natural. But so far, the subject-tracking focus mode seems outright clunky. What is the star feature in Nikon DSLRs' 3D Tracking autofocus and even in Sony's a9, for starters, requires pressing the "OK" button, selecting a subject in your viewfinder or on the display, and then pressing "OK" again. Then you're good to go and can track a subject... until the next subject you want to focus on comes into frame. This is borderline unacceptable. But it's possible Nikon is expecting most to rely on other focusing modes such as proper face-tracking. Regardless, 3D Tracking as we know it in today's Nikon DSLRs is nowhere to be found on the Z bodies. This is a problem for those shooting anything more than relatively docile subjects. That said, I may be too harsh. Some of this is just too unknown to judge so early from afar. And even though early reviews acknowledge this limitation, they still rave about the general autofocus performance of the bodies as a whole. Nikon has a new predictive tracking mode that is supposedly even better than the D850's 3D tracking. But who knows? It's something to keep in mind before you sell your D750 (and certainly before you sell your D850) if you're thinking about switching. Finally, the focus system is a focus-by-wire system, which means the focus ring is not mechanically linked to the lens' elements. This means that when you turn the focus ring, there is likely to be a slight (but noticeable) delay as that signal is sent to the body, which in turn engages the AF motor and makes the focus shift according to how much you turn the lens. Honestly, I never focus manually on digital bodies anyway (it's too difficult to get accurate focus with the standard focusing screens anyway when focusing manually). But for those that do and have not tried a focus-by-wire system before, I'll share that trying one such as that in the Hasselblad X1D turned me off of manual focusing completely. Sometimes I absolutely needed it in rare circumstances, but I never enjoyed it. It's just not the same. The Nikon Z6 features 12 fps shooting while the Z7 goes up to 9 fps, but that's without autofocus engaged. While you take a hit of a couple frames per second with autofocus engaged on most of Nikon's professional DSLRs, that rate drops from 12 fps or 9 fps to 5.5 fps on both the Z6 and Z7, which is quite a difference. That's far from a deal-breaker for many, but something to keep in mind. To put this in perspective, the D850 features a maximum of 7 fps, but maintains that speed with autofocus between frames. However, similarly to the Z bodies, it can maintain 9 fps, too, but that requires adding on the bulk of the MB-D18 battery grip with the proper extra batteries. So it's a bit of a give and take on either end when lining up the bodies side by side. Regardless, it is still impressive that such a light body can shoot at those higher frame rates. That's right, we know: you need two card slots. Or do you? Regardless, it's apparent Nikon thinks it's time to do away with the dual card slot requirement, as the Z bodies feature just a single XQD card slot, leaving no room for mirroring. While some are not happy with this, XQD cards are currently made by just a few manufacturers, and they're some of the best. The format (and modern memory in general) is incredibly reliable. And come to think of it, I've never personally had an issue or heard of anyone that had an issue with a card that was genuine. Any issues I've heard about have stemmed from murky supply channels (*cough* Amazon *cough*), where the authenticity of the card couldn't be verified. Still, there are some extreme cases where your career would take a major hit if you lost your files from a shoot. And that risk alone will never be worth it to those who need to ensure their data will be there no matter what. 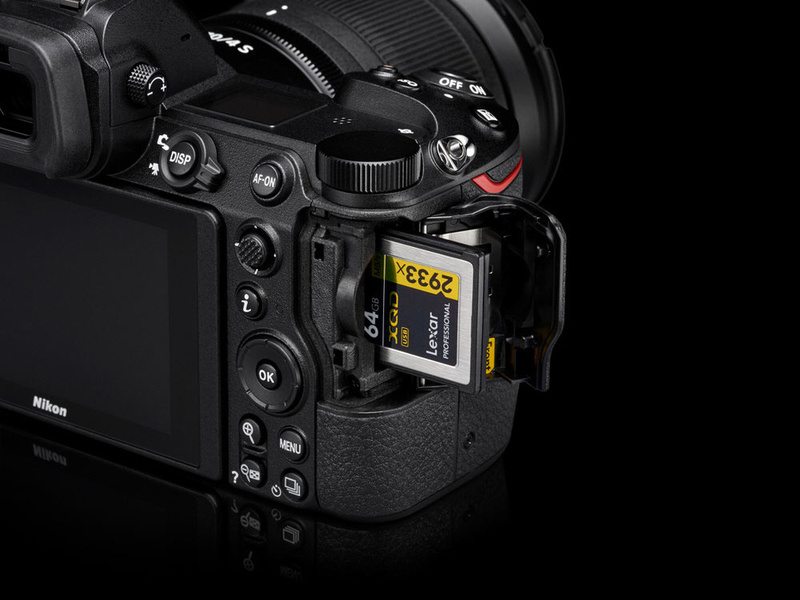 This would have been a superb time for Nikon to do something a bit different and include a solid chunk of 64 to 512 GB of internal memory that could be used as backup, primary, or secondary recording media. 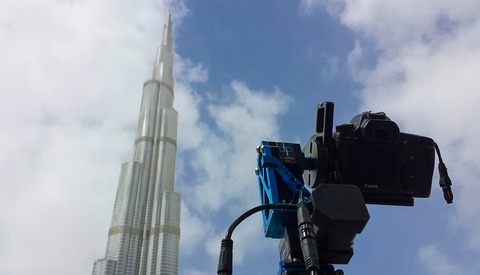 This would have had the added benefit of ensuring your camera is always ready to go, no matter what. But alas, one slot is what we've got. Finally, it's worth noting Nikon promised a firmware update to enable compatibility with CFexpress cards, which are coming soon. While XQD cards are almost exclusively used in Nikon bodies and made by just a couple companies, CFexpress cards could see much broader market adoption and will bring a number of benefits including faster speeds. Whether or not these speed changes will change any features of the Z bodies is impossible to say at the moment. Battery life for the Z6 and Z7 is rated at 310 and 330 shots, respectively. This is quite a bit lower than DSLR battery life. The Nikon D750, for example, is rated at 1,250 shots. However, anyone that knows anything about battery life estimates also knows that these tend to be the only certified tests in the world that seem to under-promise when it comes to performance. Cameras such as the D750 often get many, many more shots than 1,250. I can often easily fill a card with over 2,000 shots on my D750. And early reviews state the battery performance seems more than adequate. Thankfully, Nikon opted to stick with the familiar EN-EL15b battery. While the charger that comes with this battery cannot charge the older EN-EL15a variant, you can use the older version and the newer version interchangeably in the Z6 and Z7 bodies, although you may experience slightly less battery life. New features in the Z bodies bring out a lot of hope for similar features to be retrofitted to the D850 via firmware update. However, don't hold out too long for this. The Z bodies also feature the newer, more powerful EXPEED 6 processor, which is likely where a lot of the power that it does have is coming from. Comparatively, the previous-generation EXPEED 5 drives the D850. D850S anyone? On that note, another lacking announcement was any kind of stronger commitment to support these cameras heavily through additional firmware updates the way some other companies such as Fujifilm and Sony have done. To this day, Nikon is certainly not known for any above-and-beyond efforts to bring new features to its cameras with improved software. Most updates introduce only minor bug fixes (or major bug fixes). Personally, I had held a little extra hope that Nikon might take the opportunity to do more with this system and really put the full weight of the company behind it in every way. They might still do this. But they didn't announce any intentions to do so — at least not yet. There's not much to say here aside from the fact that this won't steal the show. 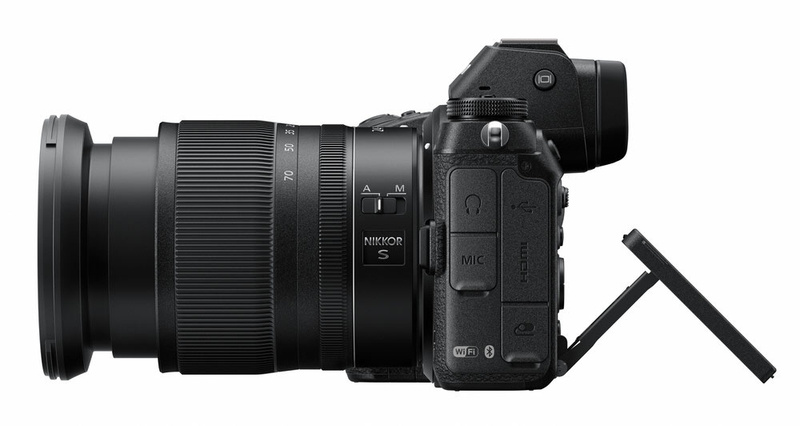 Nikon is certainly getting a bit more serious with video, but complaints about topping out at 10-bit, requiring external recorders, and no 4K at 60p still run around on the Internet and keep Panasonic GH-series fans going strong. But for those looking for a superb stills camera that can still shoot some great video with an ultra-flat profile such as N-LOG, it'll do the trick. Summarized by NikonRumors, an interview on the Japanese website, Mynavi.jp, with Nikon Imaging Business Development Department Director Mr. Hiroyuki Ikegami led to an interesting bit of information that suggested the Z6 and Z7 are not necessarily meant to be Nikon's main professional camera. 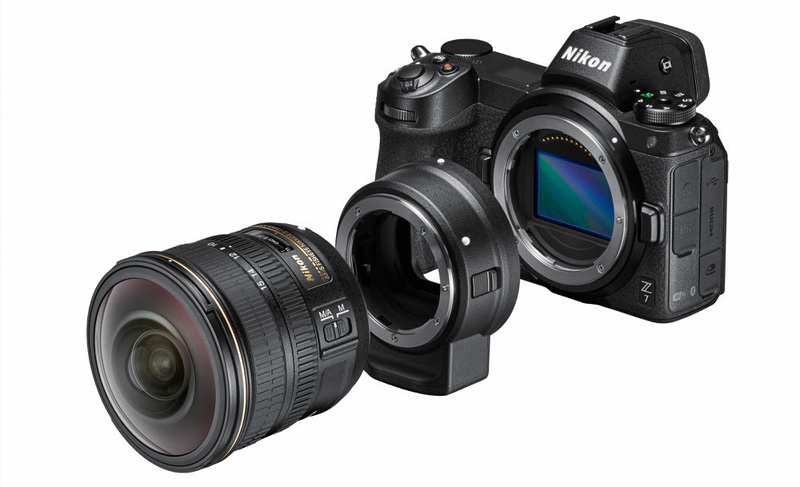 Ikegami's "Count on it" reply about a question of whether or Nikon will release a D5-esque professional body corroborates earlier suggestions that Nikon's newest mirrorless cameras are aimed at high-end enthusiasts as opposed to outright professional users. However, it would not be wise to assume such a camera would come anytime before or even possibly as soon as a D6 announcement, let alone during this current time of the D5. 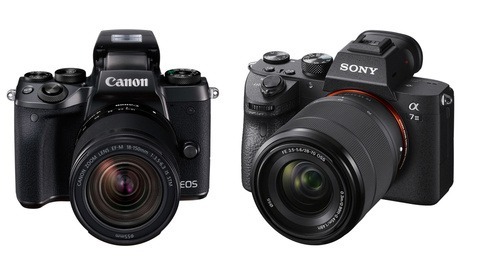 I have mixed feelings on the mirrorless announcement. No matter what, it's incredibly exciting. Nikon is finally in the game. It's hard to join the game a few years late and win your first time. And that's where we are now. There's no doubt that these cameras are incredibly capable and will produce great images. And they are, in fact, lighter and smaller than their DSLR counterparts. But is that enough to take away some of the other features and switch to an entirely new, far-from-matured lens system? I'm not sure. A lot will of my final judgment simply has to be reserved for the full review, as a lot depends on how well that FTZ adapter and the new autofocus system really work. This article will still be updated as more details become more clear. But given what we have had the chance to digest at this point, how do you feel about Nikon's first professional, full-frame, mirrorless camera? All kinds of combinations of the new Z6 and Z7 bodies and lenses can be pre-ordered right now. Check out our pre-order post to find them all. One gripe. Single slot? And XQD only??? Yep, scares me too. I love the peace of mind gained from having a backup card on my D750. Cards don't fail often, but they do fail. Yes, because you have to use SD card. That is why they fail. Then why do Sony use SD cards in their cameras, even though they make XQD cards, but don't use them !! XQD cards also fail. Ironically, my Lexar XQD on the D500 failed on a wedding and good thing my SD backups were OK. Sadly the SD was storing just the JPEGs... Cards do fail, all of them eventually. Incidentally, Delkin has introduced a 2-day replacement wait for their new XQD cards should it, ahem, fail. Take it from me, all cards fail, having backups is golden! so you backup your precious photos in a lower quality type? I know! I usually set it as RAW on both but I messed up at that time and did RAW+JPEG. I want to get my hands on some 42 megapixel raw photos to compare to my other nikons. That's a very bright idea! In fact, I wouldn't mind a SD card of such type. So wires can't carry electrons from point A to B? If true, how do USB card readers work? 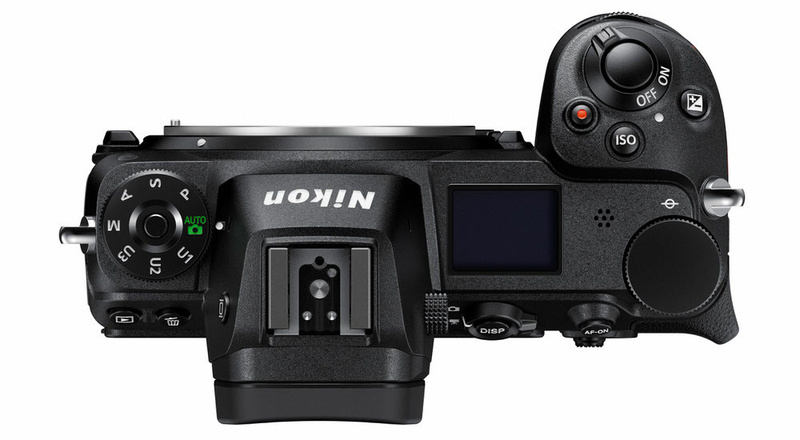 I'm not saying that Nikon will come out with a grip with a second slot, but to say it's impossible is a far stretch. STILL an exciting time to be a photographer! If nothing else, it's a shot across the bow of the other manufacturers. But I'm not trading in my D850 anytime soon... 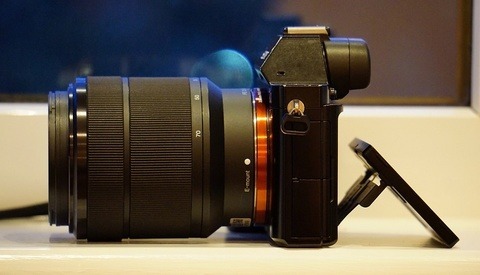 Though Z6 as a street shooting body so I can share lenses is very intriguing! I do have one question... Z6 / Z7, so what's the upgrade naming path? Z8 / Z9... and then what? If I had a D850, I would not trade either. But I have a D800 and it is getting a little old so a Z7, for me, might be a better upgrade than a D850. Yes, I will take a single slot XQD camera over any dual slot SD camera. SD cards are prone to failure, poorly designed and have exposed pins. How many SD failures from just ESD to the pins? I cannot tell you how many times a SD card has bent, fallen apart. None of those issues with XQD cards. So the XQD is 100% guaranteed never to fail. I had no idea. Not guaranteed to never fail but I bet you that a single XQD card probably has a higher reliability rate than two SD cards. Airplanes used to be required to have 3 or four engines to cross the Atlantic. Now it is only two. Do you only fly airlines that have four engines (A380, A340, B747) or it doesn't really matter any more (B767, B777, B787, A330, A350). Your airplane analogy is a straw dog. I've made my point about shooting one off events like weddings. If you are a wedding shooter and use a one card camera, I hope you have good insurance. But, good insurance will cover your monetary loss but not your reputation. My son shoots weddings and carries two cameras with dual slots and has a second and sometimes, a third shooter. And his second and third use dual slot cameras. You have a different outlook when your livelihood depends on something as simple as deciding that the extra money to buy equipment that gives you a much better chance at succeeding. But in the end, it's your choice. I choose 2 slots. I'm with you regarding XQD's ruggedness and reliability versus SD cards flimsy build and not-so-reliable-even-if-you-get-the-best-one-out-there. The airplane analogy is a bit too far, I would rather compare it to a car without an airbag. You will mostly not need it, but there would be that moment you badly need one.